Jessica Fargen reported in today’s Boston Herald that a Boston Medical Malpractice defense attorney hired by one of the area’s largest malpractice insurance companies advised a doctor that he could avoid being served with a summons in a major medical malpractice lawsuit if he left the country. Dr. Eran Bar-Mer finished his fellowship at Beth-Israel Deaconess Medical Center and was travelling cross-country with the intention to emmigrate to Israel. Allegedly his insurance company appointed lawyer advised him that he was “lucky” to be leaving the country and the jurisdiction of the court. He was ultimately served with the lawsuit when he returned to Boston on business two months later. Legal proceedings are adversarial in nature. Most lawyers believe in punching hard but punching fair. When a member of the bar advises a defendant whom he represents to leave the jurisdiction of the court to avoid service things have gone a little too far. Hopefully this lawyer has simply lost his way. 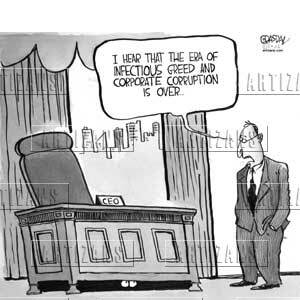 It is sad when the greed and corruption that has become pervasive in corporate america taints the legal profession.